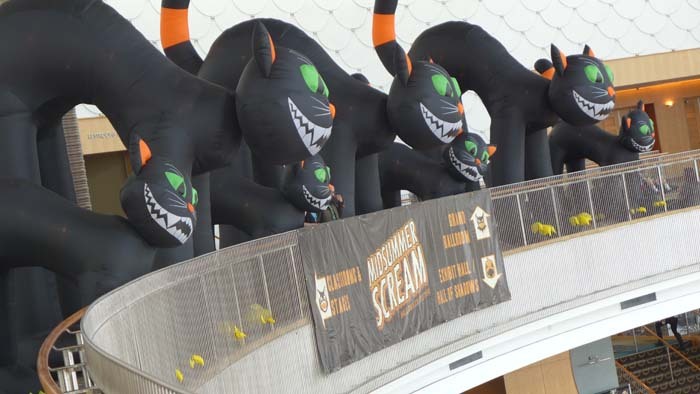 This past weekend saw the the debut of the highly anticipated Midsummer Scream convention, and it is safe to say it blew away almost all expectations. 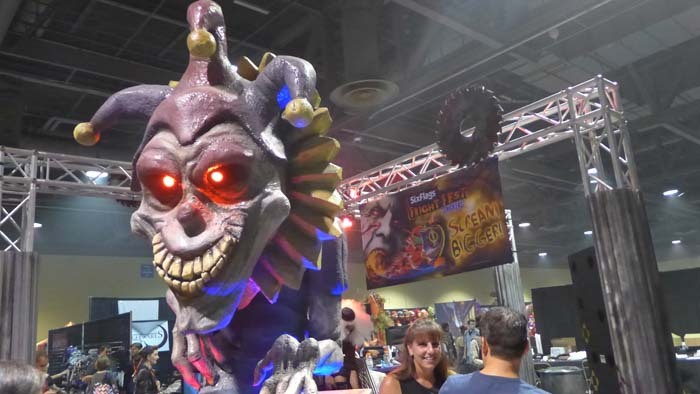 Combing the talent of Rick West, Johanna Atilano and David Markland, Midsummer Scream was expected to make a splash in the haunt industry if not anything else, and it surely did. The show floor spread over 100,000 square feet which is almost completely unheard of for a first time convention. 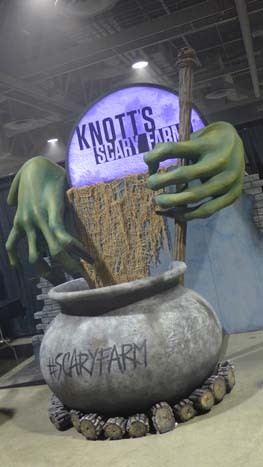 Inside you’ll find vendors ranging from Paranormal Investigators, to local haunts, to the big boys even with both Knott’s Scary Farm and Six Flags Fright Fest having a presence on the show floor with various photo ops. 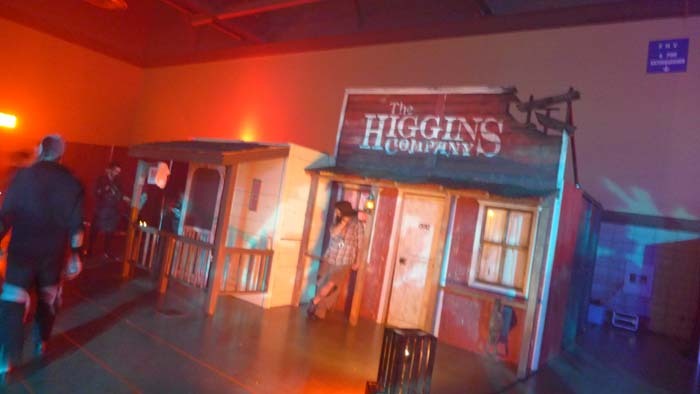 Six Flags Fright Fest booth is certainly home to lots of clowning around. 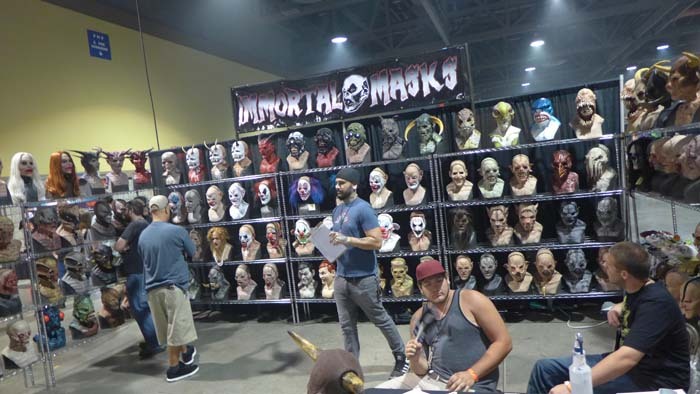 Immortal Masks over some of the best, most comfortable latex masts on the planet. 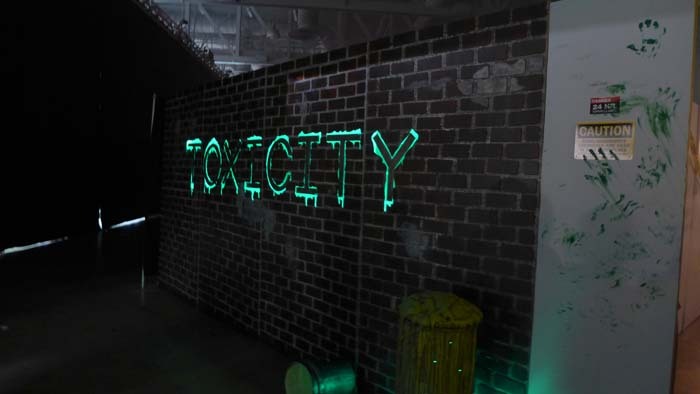 If you ever see them at a booth, definitely try one on (but please ASK before you do). They’re worth it. 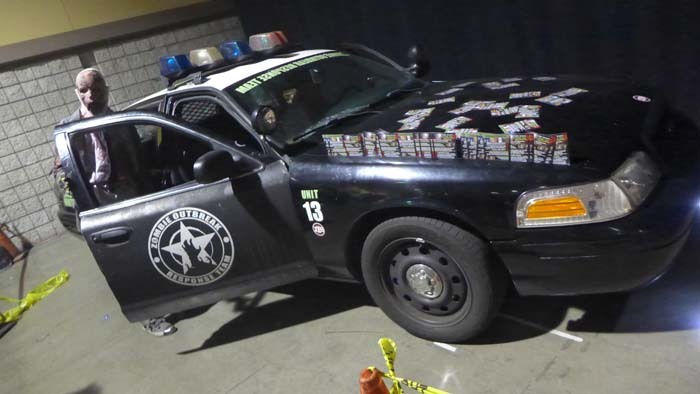 The old Haunted Hollywood Sports police car is used now to promote the Long Beach Zombie Walk every year, and makes for another great photo op. 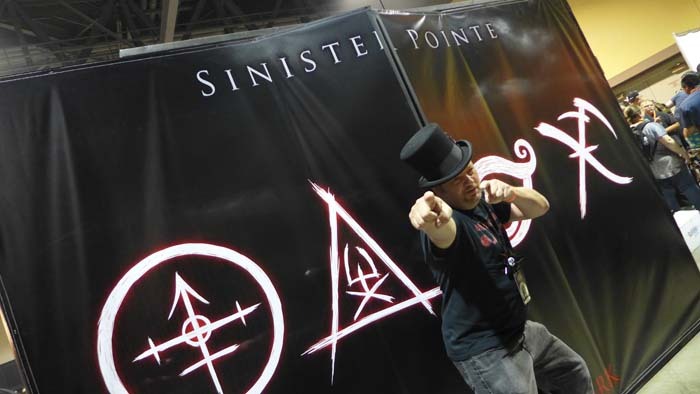 Sinister Pointe, one of our favorite stand alone haunts, was offering a (we think) VR experience. 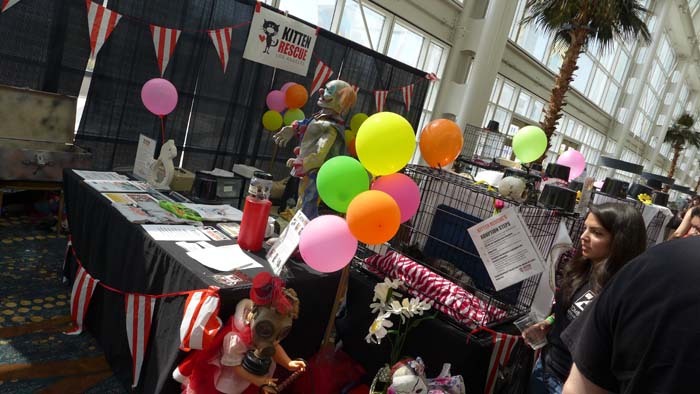 Just outside the show floor you can literally adopt a kitten. It was very hard to not be tempted in bringing another one of these cuties home. 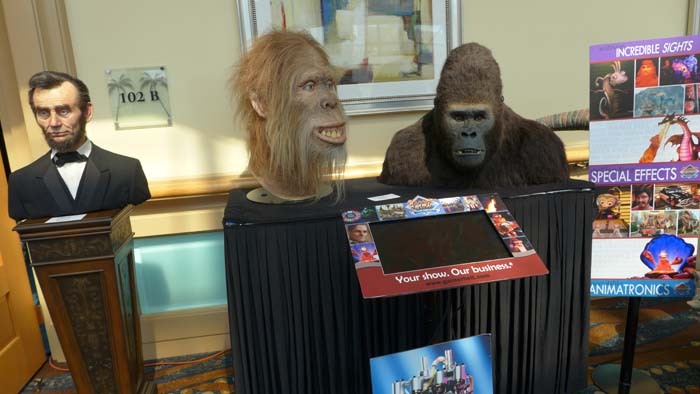 Also outside the show floor was a small display from Garner Holt Productions. If you’re a theme park fan you know who these guys are. They’ve done lots of work for Disney, Universal, TV and Movies, you name it – they’re the best in the business. 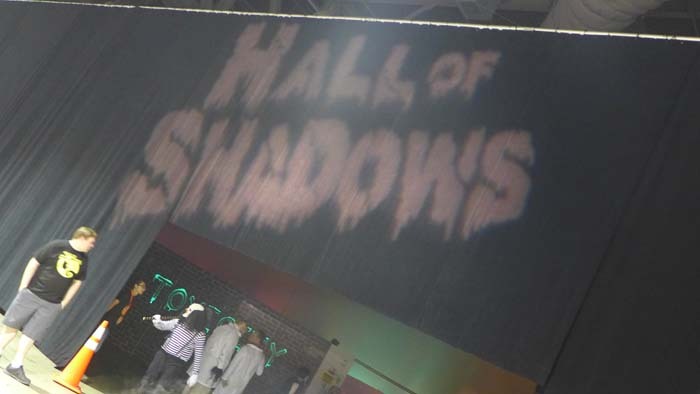 BUT, where most of the action took place was in the Hall of Shadows. 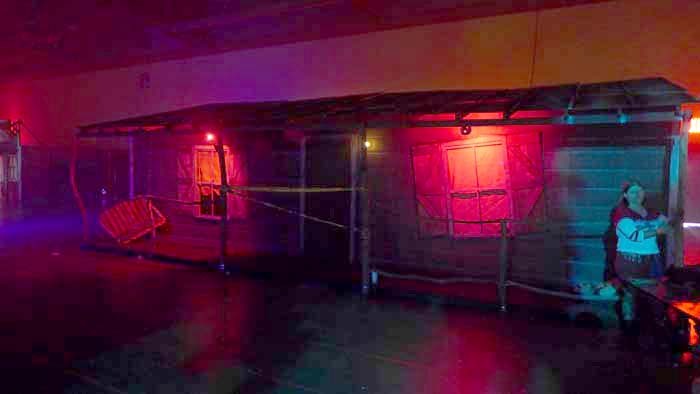 This is a mini themed haunted area, that’s situated like a mall of madness, a very long fogged up, darkened hallway filled with dozens of small mini-haunt walk through, scare actors, sliders, talent, the whole shebang and worth the price of admission itself. 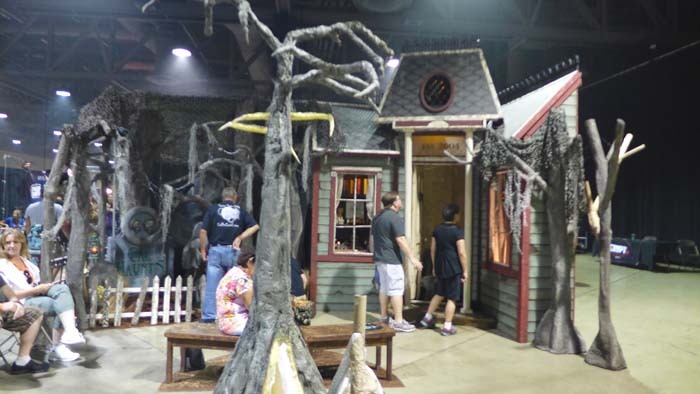 That does it for this very quick look at Midsummer Scream, we were there for a very short time, but ended up loving every second we were there. 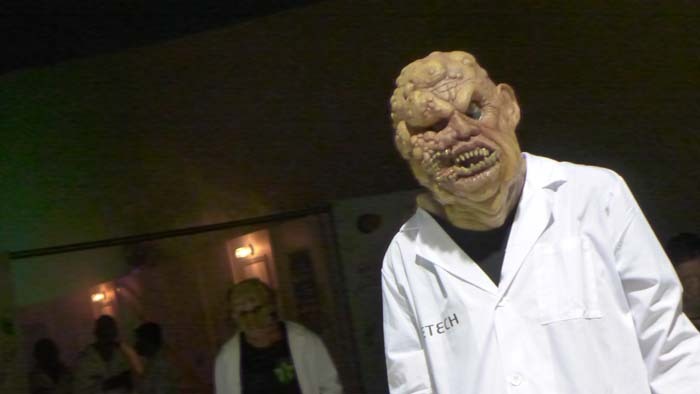 The SoCal haunt community truly is one of the best in the world and it showed last weekend. While dates are not confirmed Midsummer Scream will be back for 2017! 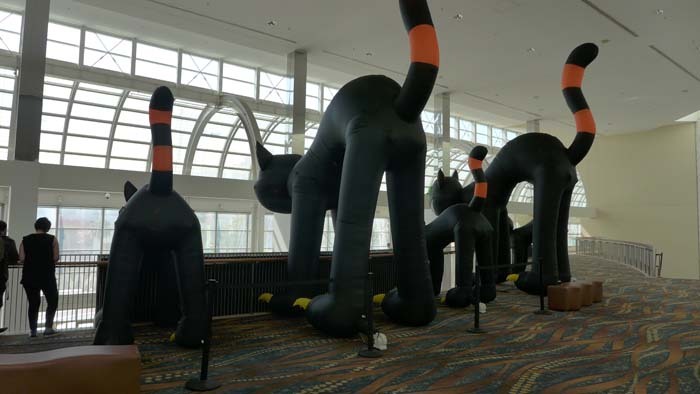 Stay tuned for more from convention fun and be sure to get social with us on Facebook and follow along with us on Twitter @BehindThrills for the latest updates!